This is the media that is traditionally used to frame or become the window of the image and more importantly, keep the artwork away from the glass. The mount board comes in a magnificent range of colours and textures and when these colours are combined in harmony with the artwork to form double or triple mounts the affect is stunning. Standard or conversational mount board and their uses. – It is often a ‘horses for course’ approach in deciding the type of mount board to use. The general rule of thumb is, if the picture, needlecraft or artwork carry’s a emotional, collectable or monetary value then the use of conversational mount boards with their protective characteristics is very probably recommended. 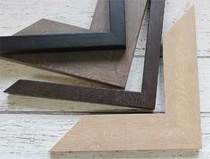 Standard Mountboard is more suitable when cost is a consideration and for minimum levels of framing. ﻿Arqadia, Crescent, Daler-Rowney, Great Art, LION, Nielsen Design, and Slater Harrison (Colourmount). Moulding is the strips / lengths of material which are cut and fashioned to form the outer frame to your picture, photograph, artwork etc. The 4 pieces have precision cut mitred ends so when joined, they deliver an accurate, strong and clean finish to the frame. Old school framing has traditionally used plain wood mouldings which are then prepared with many of the time honoured finishes to give a hand finish to the frame such as paint, lacquer, polish, wax, gesso, clay bole, gold leaf or any other type of gilding process. Mainline, Wessex, Lion, Arqadia, Frinton, Rose & Hollis. Centrado and Ashworth & Thompson to name a few. 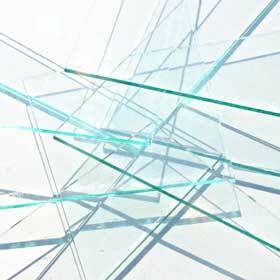 Glass - is the choice of framers to keep the artwork safe and well protected from the elements. Historically your options were limited to the type of glass that was available, but today we have a wealth of options to suit every need, requirement and pocket. Diffused Glass or acid etched. (A picture glass which is acid etched to give a non glare, diffused finish). Water white. 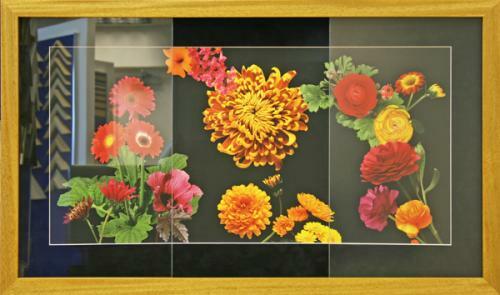 (The ideal alternative to ordinary float glass, a completely colourless clear float glass, offering outstanding colour reproduction. Anti reflection. AR Glass. ( It allows over 97% light transmission and reduces reflections to less than 1%. UV glass. (UV Protection blocks 99% of harmful UV light rays.